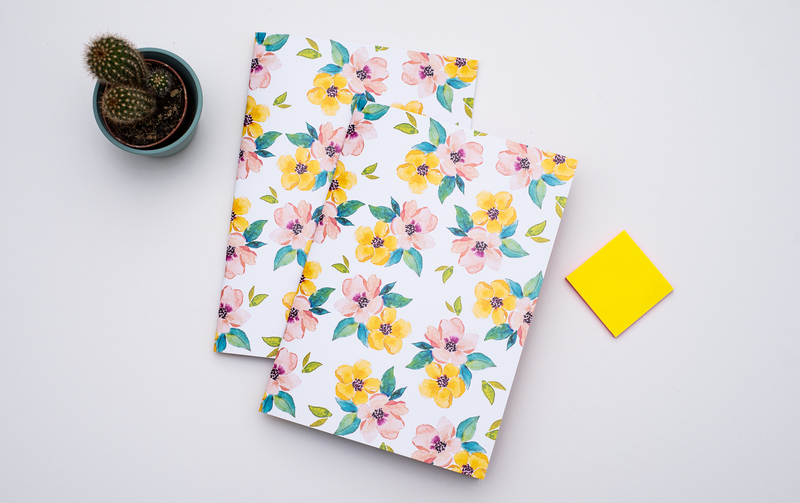 Say 'Hello' to the new additions in our Notebook collection! 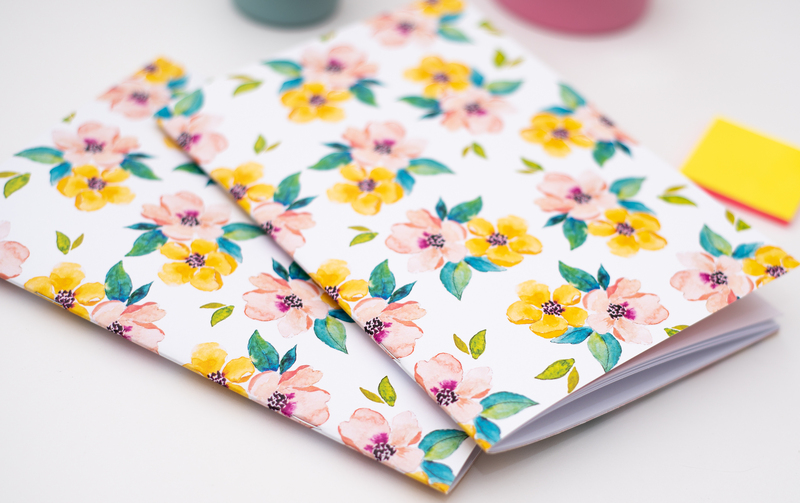 As the National Stationery week, here in UK approaches quickly (24th -30th April) we want to present to you our brand new additions to the Dessi Designs Notebook collection. 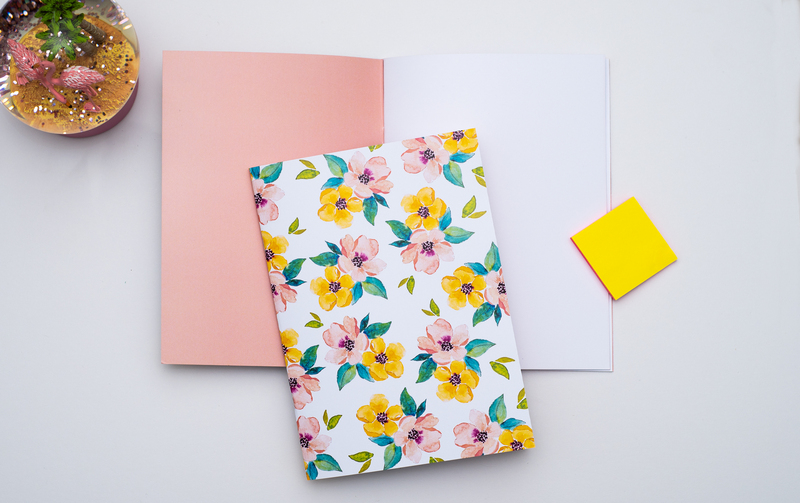 We love using notebooks, and there is always something oddly satisfying about starting a brand new one. 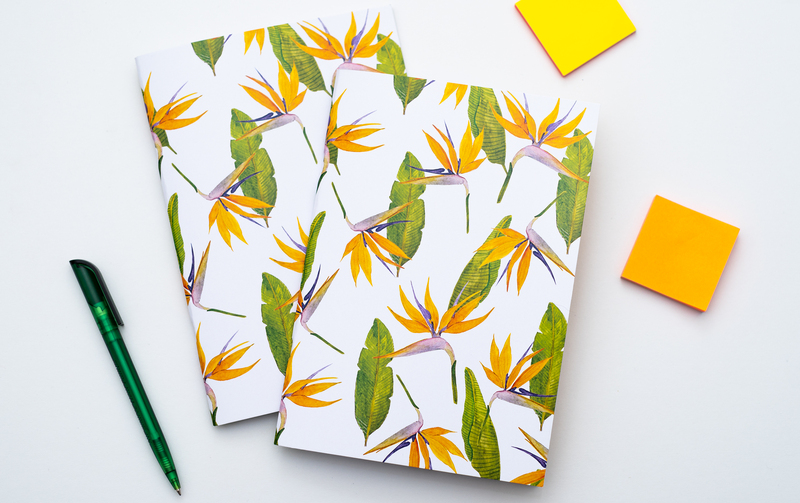 This month marks the start of a new season, so we are embracing it fully with our notebook designs. Each one is featuring an original hand-illustrated design. 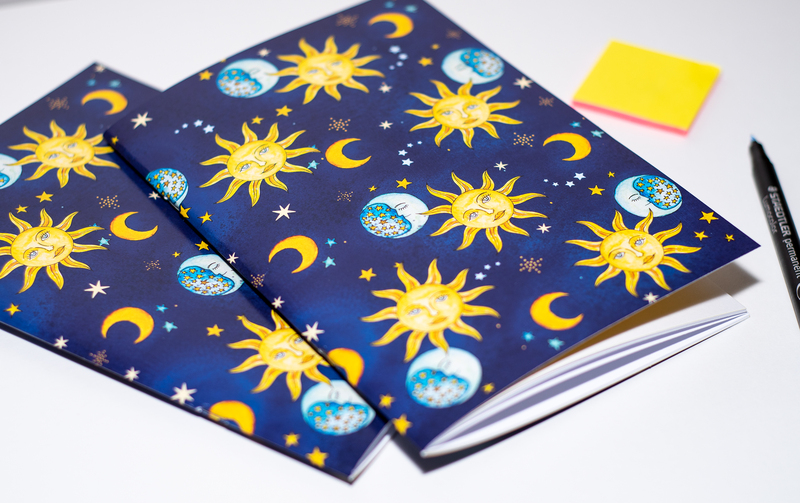 There are two floral designs Inspired by the colours of Spring and Summer, and a retro Sun and Moon cosmic artwork inspired by the vintage celestial prints. I usually use watercolours to create the beautiful colour blending. The aesthetically pleasing artwork will make you want to pick-up your notebook over and over again. 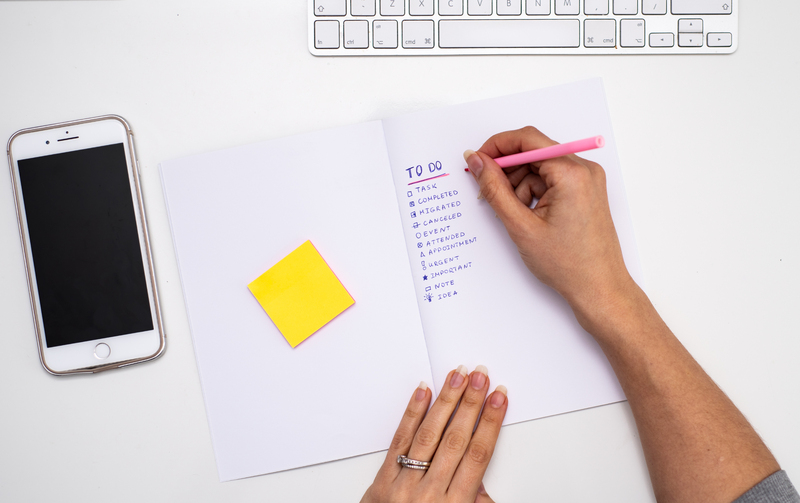 Typically, most stationery lovers consider the size and thickness of the paper. Some notebooks have VERY thin pages that lead to thick marker pens bleeding through the page you are writing on, ruining the next side. At Dessi Designs we use high quality industry standard blank white pages. This helps to minimise excessive ink from felt-tip and marker pens from bleeding through the page. This makes them perfect for sketching, jotting down ideas and keeping a bullet journal, where you can use all your imagination and creativity. Did we also mention the pages are also brilliant white? 3 - High quality print cover with matching colour inside. We use 250 Grams per square metre (GSM) paper for the covers, which makes them light and easy to work with. The design is printed using industry standard digital press, to achieve crisp and vibrant artwork. The inside of the cover is also printed with a matching block colour, to add to the final design and feel. All that wrapped in a very handy A5 size, so you can fit it in your bag. 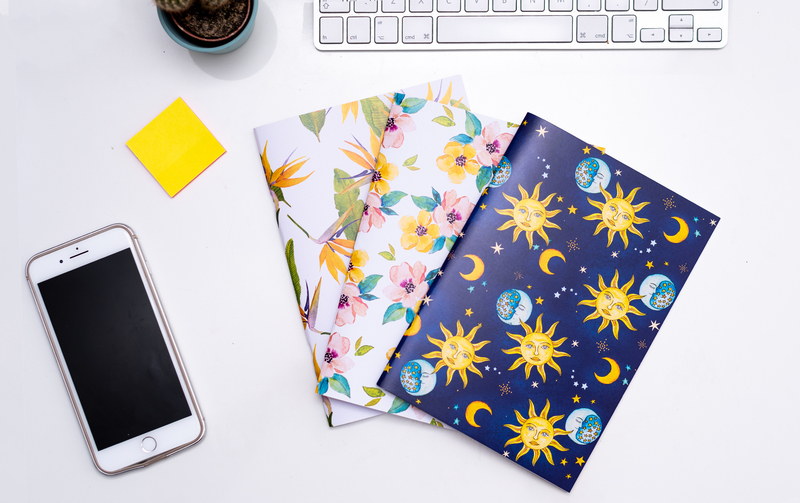 Weather you are looking to brighten up your desk this season or for a great little birthday gift for a stationery lover friend, you won't go wrong with any of these notebooks. You can check the full collection here.